Eleven drivers have won the Daytona 500 more than once since the race started in 1959. Only three drivers have ever won consecutive Daytona 500s. 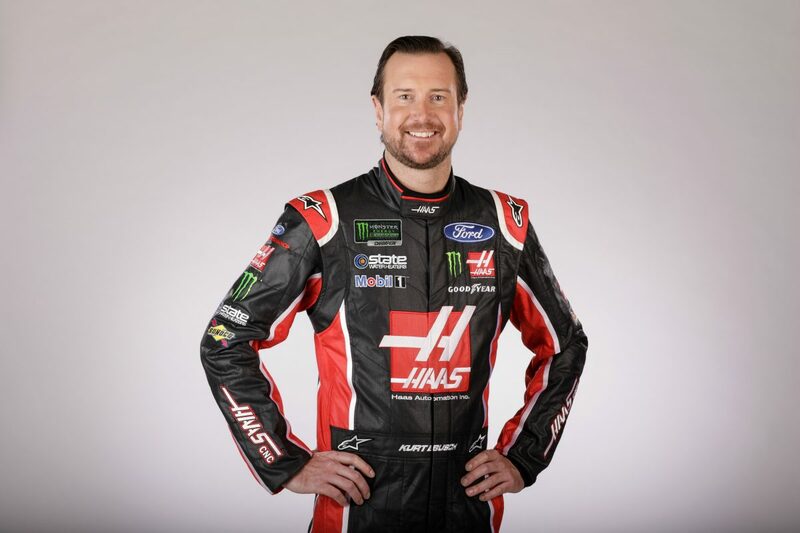 So for Kurt Busch, driver of the No. 41 Haas Automation/Monster Energy Ford Fusion for Stewart-Haas Racing (SHR), the important numbers are now 12 and four. He hopes to become the 12th driver to score multiple Daytona 500 victories and the fourth to score back-to-back wins. The only drivers to win consecutively are Richard Petty (1973-74), Cale Yarborough (1983-84) and Sterling Marlin (1994-95). But while those drivers had the same crew chief for the consecutive races they won (Petty and Dale Inman; Yarborough and Waddell Wilson; Marlin and Tony Glover), Busch will have a new man atop the pit box. Tony Gibson, a Daytona Beach native with more than 30 years of crew chief experience, retired from the road at the conclusion of the 2017 season and took a job as production manager at SHR. In steps another Florida native, Billy Scott, who was crew chief for former SHR driver Danica Patrick for the last two seasons. Scott hails from Land O’ Lakes, Florida and would love nothing better than to score a Daytona 500 victory with Busch. And as fun as winning was last year, perhaps Busch would like to lead a few more laps this year, for last year, he only led one. But it was the most important one. With a last-lap pass of Kyle Larson in turns one and two of the 2.5-mile Daytona (Fla.) International Speedway oval, Busch won the “Great American Race” in his 17th attempt. In leading the only lap that mattered, Busch scored his first NASCAR Cup Series win on a restrictor-plate racetrack, giving him victories on every type of circuit the Cup Series visits, which includes short tracks, high-banked ovals, flat tracks and road courses. Helping Busch will be his participation in the Advance Auto Parts Clash, a 75-lap non-points race this Sunday. Busch won both the Advance Auto Parts Clash and the first Can-Am Duel qualifying race at Daytona in 2011. Busch led three laps and beat Jamie McMurray to the finish line by .058 of a second to win the Clash in 2011. That same year, he went on to lead seven laps and beat Regan Smith to win the first Can-Am Duel 150 by .065 of a second. Busch narrowly missed a clean sweep of 2011 Speedweeks by finishing fifth in the Daytona 500, which was won by rookie Trevor Bayne. Busch is a veteran in NASCAR with 612 races started. And he’d love nothing more than to score a huge victory for number 613. What makes it so difficult to score a repeat win in the Daytona 500? Will the speeds be up at Daytona in 2018? Has Ford lifted its game overall this year? Do you anticipate things being better? Was there any work in the offseason on the engine or chassis that can help the Ford group? Has it been good to get to Florida and distance yourself in the offseason in order to be fresh for Daytona? How often do you think about the 2017 Daytona 500 and what happened? What do you think of the new pit-road rules? Have you had conversations with Billy Scott and the No. 41 team about strategies you may incorporate due to the new pit-road rule?